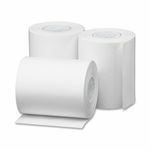 Save big on thermal paper rolls from top brands as Nexa, Calibor and more at Aussie POS. Australia wide fast shipping and great customer support. Call 1800 730 846 for orders ! 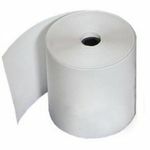 Minimum quantity for "44X70 - Box of 6 Thermal Paper Roll" is 10. 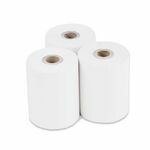 Minimum quantity for "57x35 - Box of 20, 12mm core Nexa Thermal Paper Roll" is 5. Minimum quantity for "80X65 - Box of 24, 17.5mm Core Thermal Paper Roll" is 5. Minimum quantity for "EftPOS 57X47 - Box of 50 Calibor Thermal Paper Roll" is 5.